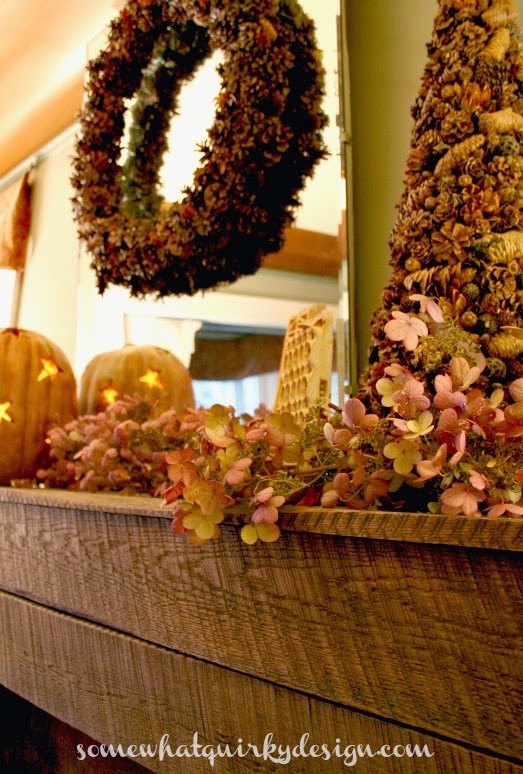 Somewhat Quirky: A Fall Mantel On Dec 3? 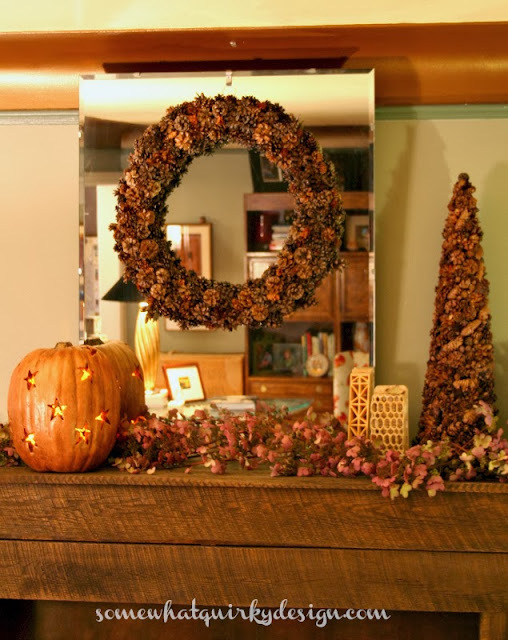 A Fall Mantel On Dec 3? I guess I'm a Christmas blogging failure. Here it is December 3rd and I haven't even had ONE Christmas blog post. I don't really FEEL like a failure. In fact if I weren't a blogger I wouldn't even consider that I might be a failure. I don't know how many years I will have to blog before I feel comfortable starting to blog about Christmas in the middle of November. I mean, the middle of November is before Thanksgiving! And I've got cookies to make. And cakes to bake. And trees to make. And today I had to have my teeth cleaned. My house is just not ready for Christmas blogging. Heck . . . 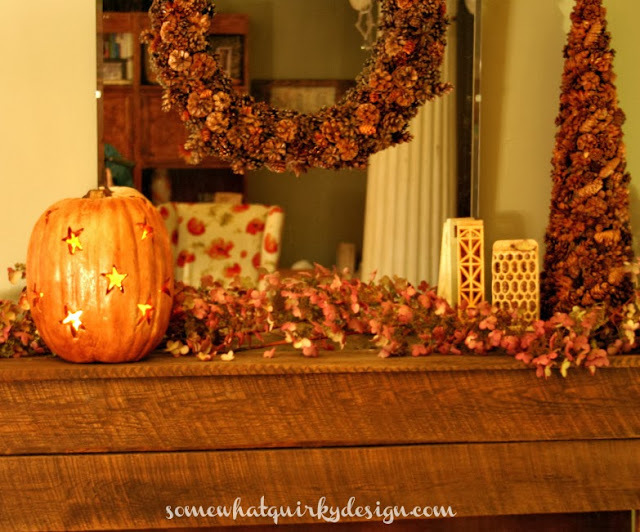 I just got my fall mantel done! My pre-fall mantel lasted a little longer than it was supposed to. And it's been grey here with no light for photography. So I was just going to forget about the whole fall mantel thing. 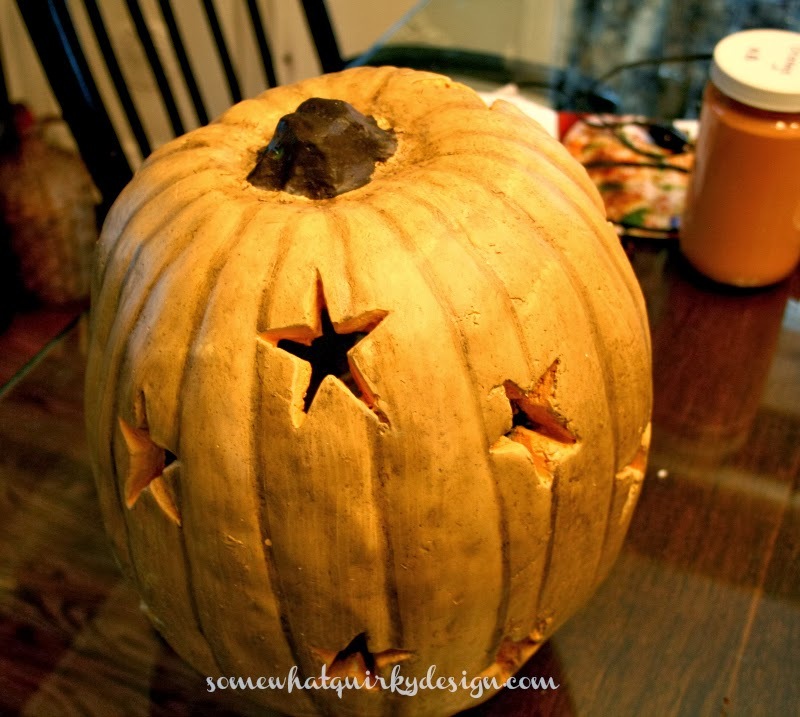 But then I got this cute pumpkin from Halloween clearance. It looked a little puny. Like it needed a tan or something. And I had this lovely Creole Orange paint by Maison Blanche Paint Co.. Have you ever seen it? It's really lovely. So I painted my cute little pumpkin and put bronze paint (Modern Masters) inside the stars. And waxed it with clear wax (finishing off my CeCe Caldwell Clear Wax). Then mixed bronze paint with the clear wax and waxed it again. Somewhere in there I used some dark wax as well. I don't think it looks puny anymore. Not at all. Why it's dang close to beautiful. And it will get to hang out on my fall mantel for another day or two . . .
when I become a little less of a Christmas blogging failure. Hopefully that won't be too long. Maybe the sun will even come out. Your mantel looks great. Just throw in a few reds and you're ready for Christmas. I haven't gotten one thing done here at all. No mantel, no entry, no tree. So you are a better holiday blogger than me. 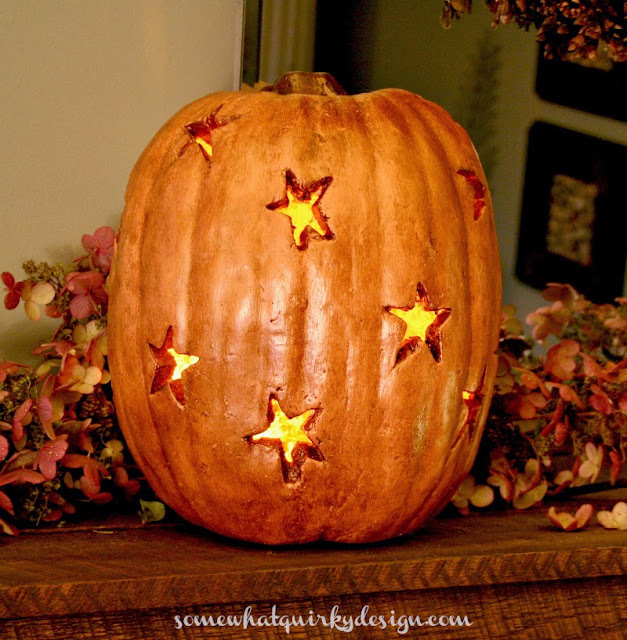 Your pumpkin is adorable.